In applying feng shui to our living and working spaces we are mirroring the dynamic balance found in nature. The natural ebb and flow of energy as the sun changes and moves throughout the day, the seasons, the year etc. Dynamic Balance means changing, growing, flowing balance, not a static state of perfection. True balance is always evolving, growing, receding and beginning again – in harmony with our needs as we move through the different stages of our lives. Isn’t it interesting then, that as human beings, all too often, we are reluctant to leave behind the apparent security of the status quo. Even if the situation we are currently in is uncomfortable, we can, at times, have a somewhat “better the devil you know” attitude toward moving on. At this time of year mother nature gifts us with a magnificent display of the beauty of change and transformation. 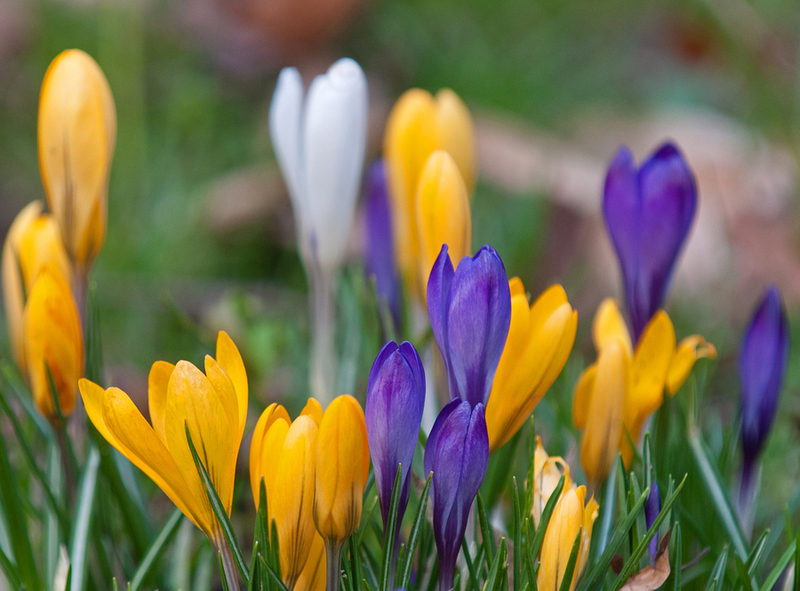 As we move into Spring, plants that have been dormant all winter, begin to spread their wings and blossom. This is a wonderful mirror for us, showing the magnificent opportunity we have, when we choose to let go, and allow change to transform our energy, bringing us to the next level in our development. In the incorporation of feng shui design into to our spaces, it is crucial to remember to regularly review what is working for us and what requires movement and transformation. Simply moving around artwork, ornaments etc. clearing out/tidying into storage what we are not currently using, will have a profound effect on how we perceive our surroundings and subsequently on how we feel energetically. This month ask yourself – What project have you been putting off until the time was right? Is there a creative process that you would love to begin? A class that you have wanted to take? or perhaps there is a space in your home waiting to be transformed or re-purposed for another use? Change is the one true constant in our lives – The wind will blow and change will come. Take time at this re-birthing time of the year to En-Joy this turning point in your journey! To learn more about feng shui, space clearing and transforming your life by transforming your home (your outward expression) join us on May 11th and 12th for a two day immersion into feng shui design. This TWO DAY FOUNDATION LEVEL WORKSHOP is designed to introduce you to the key concepts of feng shui and the essential associated modalities of healthy homes, clutter clearing, earth energy and space clearing and their application to your home. In this feng shui design course we will cover; the importance of location, chi vs sha, form school feng shui, the bagua, furniture placement, personal best directions, the importance of entrances and bedrooms, colour, pattern, shape and material finishes and the flow of the five elements, space clearing, healthy homes and much more. 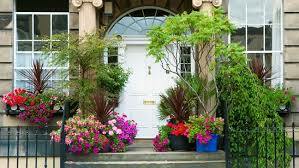 In feng shui we place particular focus on the entrance to our homes and businesses. It is considered vital to have a space in front of the entrance for energy to “pool” creating a ming tang or bright hall, a transition space between the outside world and our inner sanctum. Having the entrance brightly lit, well maintained and with the number and name clearly marked is essential. Them having some colourful plants to give the space some life-force is excellent. But can you have too much of a good thing? While it is important to have the entrance bright and well kept, if there is so much planting surrounding the entrance that you have to “pick your way through” then this will constrict the flow of people and chi into your space. Balance is what is required. Ensure that you have space for people and energy to gather, it is even more ideal if you can afford them some shelter as they gather at the entrance before entering. 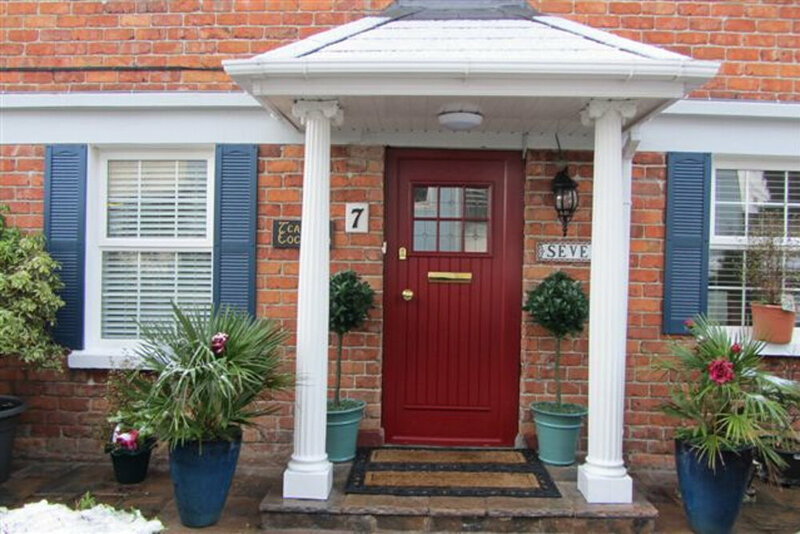 Pillars, pots or planters can be added either side of the door so that you “step out” in an embrace to welcome people and energy into your space. Having a change of material underfoot also provides a reminder as you step onto a different surface that you are now entering a different energetic space here. Colour, shape and proportion all have their own energy. In feng shui we also look at the significance of what direction your home faces and how that relates to your own individual energy. We each have four better/more auspicious directions for our front door to open onto in order to draw in beneficial chi or energy. Learn more about this on our two day foundation training in feng shui design. 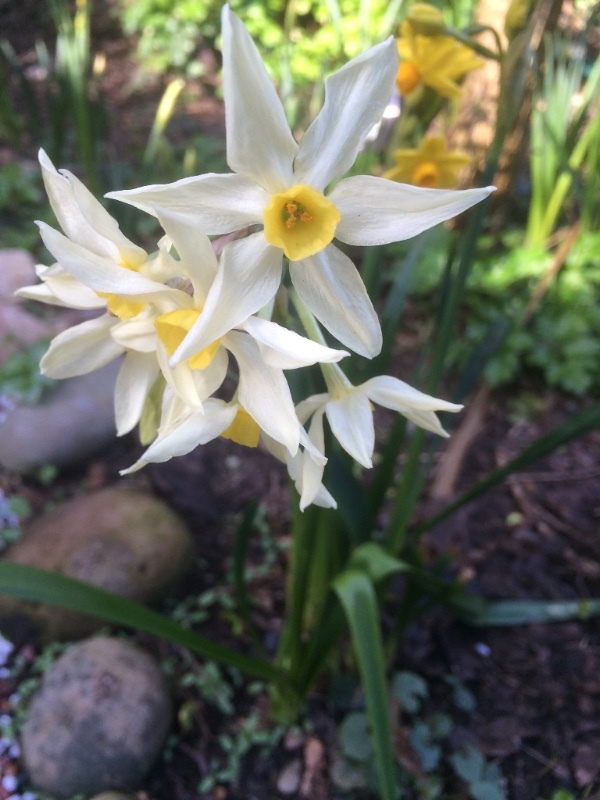 spring equinox March 2019, a time to clear clutter inside and out to make room for the new growth of spring. Traditionally this is the time of awakening after the long winter months, a time to celebrate new life, new beginnings and the return of Spring. The spring equinox on March 21st marks one of the tipping points of the year, when we mark the equal length of day and night. March of many weathers, as our mothers used to say has arrived blowing away the cobwebs of winter and bringing with it new buds of life and the promise of spring and summer to follow. 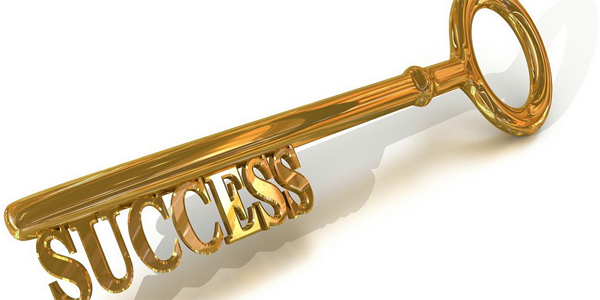 This is a perfect time to do a clean sweep both inside and out. Clearing away what no longer serves, making room for this years new growth. Take time to sit quietly and write out a plan for which areas need the most clearing, allotting times and days in which you can comfortably do this. Even allowing 30 mts per day, you will be amazed at the difference you can make. Bring in some scented spring flowers and place them in the hallway to brighten up this space, welcoming in the promise of a new years growth, full of vitality. This will boost your energy as you face out into the world each day and as you arrive back home. The entrance and hallway are vitally important areas in feng shui as this is where the energy of the outside world meets our own personal space. This space speaks volumes about who we are and sets the tone/atmosphere for our entire experience of the space. In feng shui, the entrance given special attention and focus and is called the “ming tang” or bright hall. This is where we ideally create a gathering space in which to pool energy, sometimes called the “dinner plate” from which we can inhale vital chi/energy through the main entrance or “mouth of chi” into our homes. This allows our homes to then be energised uplifted and in turn to be uplifting to our energy and subsequently energised all areas of our lives. 9 star ki and Feng Shui – Discover more about your own personal energy signature and how best to support it in your home. In this class we look at our own personal energy signature – the elements that make up our emotional centre, our character and our outer expression. We look at the way in which our energy differs from, or integrates with, other elements in those in our immediate circle. We also take in how our energy changes and evolves each year over a cycle of 9 years and how best to go with the flow of this movement. What is 9 star ki? 9 star ki dovetails with feng shui and allows us to understand the energy that lies behind the movement of energy to and through our lives. Feng Shui and 9 star ki recognise that life is simply energy in transformation – understanding the mechanism of this transformation enables us to enjoy a deeper and fuller, connection to this process in our lives. The 9 stars refer to the 7 stars of the big dipper and the vega and polaris stars. These were used as navigational tools by our ancestors, as they rotated around an axis throughout the year. This process of movement and change was seen to have a direct correlation to change in nature and our lives. In this class we will discover our own energy signature and how our energy moves and transforms each year over a cycle of 9 years before it begins the cycle again. Understanding your own energy signature and your energy for this particular year enables you to go with the flow of this energy and support yourself through this process of transformation. It also allows you to understand the energy of those around you and where they are on this turning wheel of transformation. We will cover the application of feng shui to your particular living space and then we layer in your own personal energy signature, working to support your individual energy and that of anyone else living in the home. A journey of discovery into your inner and outer worlds and how best to infuse them with joy, abundance, health and happiness for every area of your life. Treat yourself to a morning learning how to infuse your home with essential oils, to cleanse and uplift body , mind and spirit! 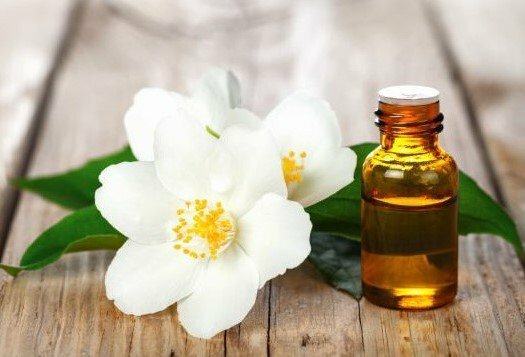 Essential oils have long been valued for their therapeutic effect when used in massage. However, they are also, invaluable in the home and workplace and have a deep and lasting effect on the physical environment as well as on the atmosphere and occupants. In this workshop we will look at ways to employ essential oils in the home for space clearing, shifting atmospheres and to cleanse and uplift ourselves and our homes. Obviously their scents are very pleasing and effective when used in cleaning products, bath salts and when diffused into the air. But they also have a very healing affect, in cleansing and uplifting the spirit of the space and creating atmospheres. How to make your own bath salts and sugar scrubs. Space clearing and how to create space clearing mists to cleanse and uplift your home. Learn which oils work well in combination. how to make a seasonal blend to infuse your home with the magic of Christmas. Creating clarity with feng shui. Feng Shui provides a prism through which we can view this relationship between our inner and outer skins (our homes). We look at the energy of your space and how to make sometimes, subtle changes to have an immediate effect on any area of our lives. Colour effects us on every level, emotionally, physically and spiritually. It is a powerful ally and a healing tool in creating atmospheres and a sense of well being in our living and working spaces. Your home is a mirror, reflecting back to you whatever is going on in your life. 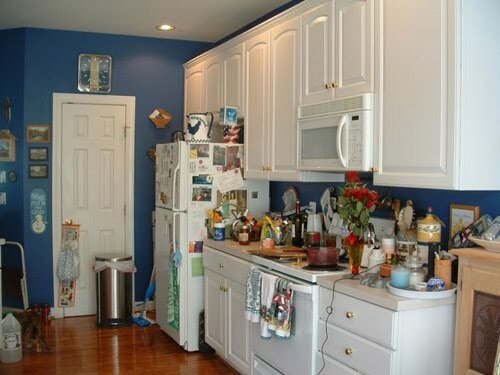 For example, if you live surrounded by physical clutter, you will feel a stagnation in one or more area of your life. Feng shui provides a system to create harmony and balance in all areas of your home which will reflect back into all areas of your life. There are many “schools” or approaches to this wonderful subject, in this workshop we will guide you to choosing which approach works best for you. Dynamic balance involves an ebb and flow to each area of our lives, we will look at ways to align your energy with that of your home. 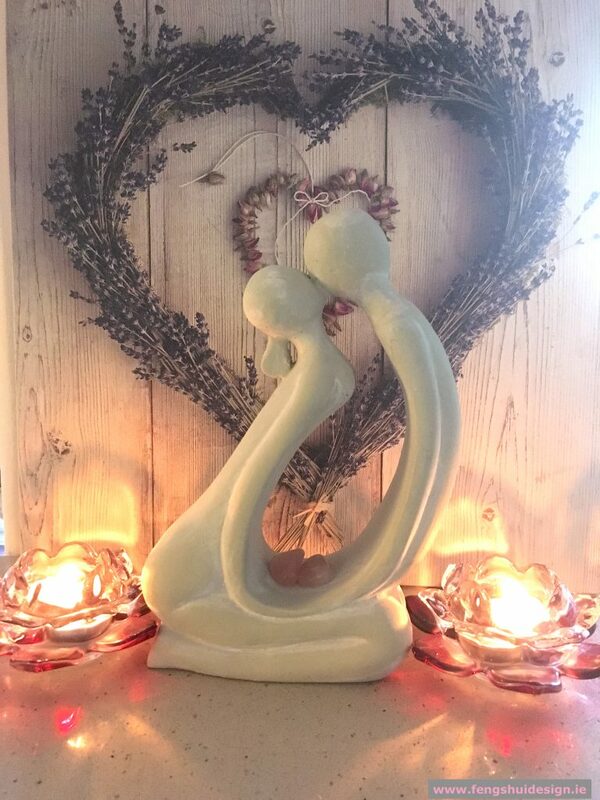 Our connection to our homes is vital in order to feel protected and supported in life, feng shui provides a system to deepen that connection. Giving added meaning to the furnishings, colours and ornamentation we surround ourselves with. Feng shui involves creating a balance in the flow of energy to and through your space so that it will support your sense of well-being rather than become a source of stress.With balance comes the opportunity for improvement of your health, wealth and relationships. Having originally worked in alternative health therapies and beauty therapy for many years, Edel became more and more fascinated by the effects of our environment on health and wellbeing. In the 1990’s Edel studied Interior Design at the Dublin Institute of Design and Feng Shui at the Feng Shui Network International in London. In the course of the past 20 years, Edel has delved deeply into the world of colour and its impact on our sense of wellbeing. There is a physical and spiritual connection between yourself and your home, indeed your home is a mirror for what is going on inside you. When you work consciously to clear the energy of your home, the energy of your space merges with your own energy – your home takes on the essence of who you really are. That is, who you are now, not who you once used to be! Once you begin to clear your clutter, you will experience a corresponding flow of energy into your home and therefore your life. 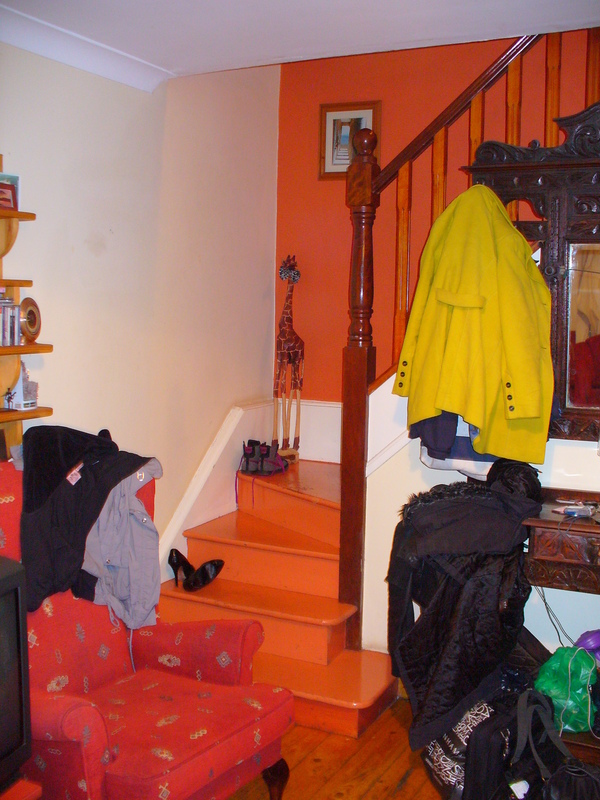 In order to have good feng shui (energy flow) through our homes it is vital to first clear our clutter. This can be challenging. Clutter is emotional, representing the past and often old, stuck patterns and ways of being. Unless it is something which lifts your energy or which you find useful or beautiful then you can reclassify it as clutter. 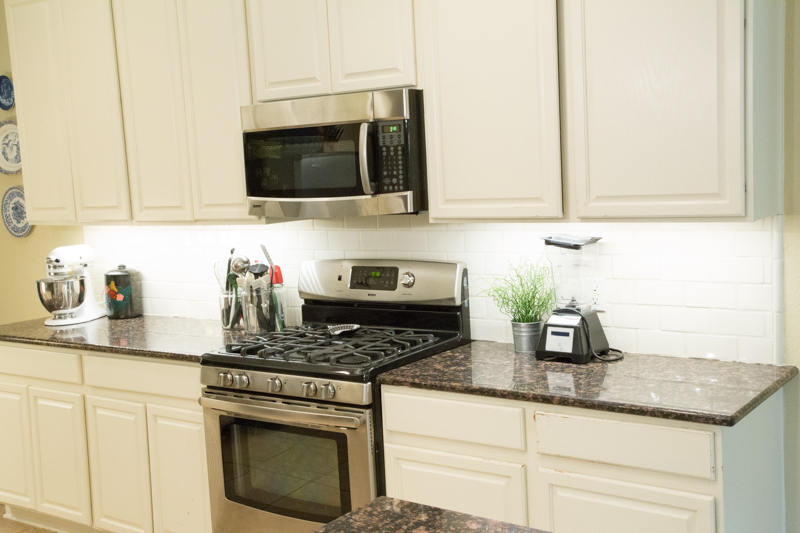 Begin with the easy layers – FLAT SURFACES ARE NOT FOR STORAGE! Clear off worktops, table tops and dresser tops. The clarity this creates will give your energy a boost to keep going. 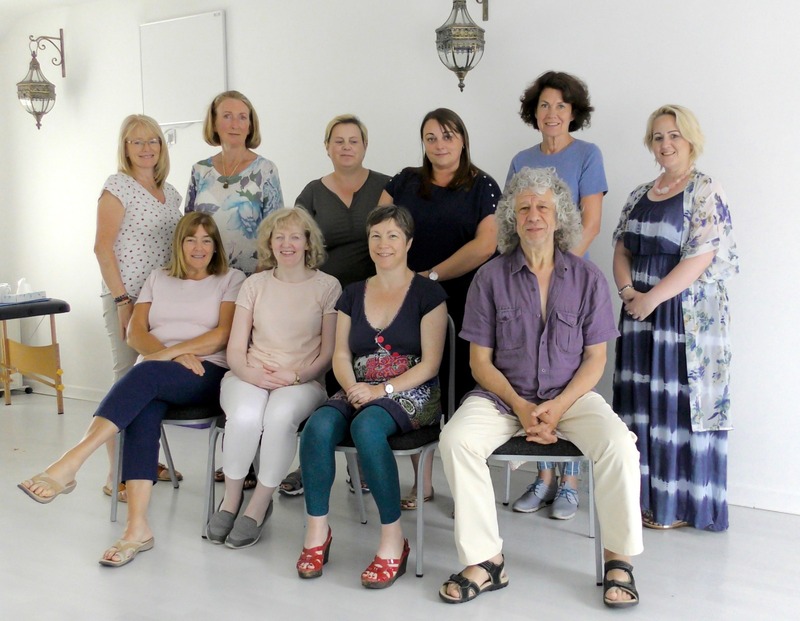 Our July workshop with Christian Kyriacou was a wonderful gathering of like-minded souls wishing to go deeper into their connection with the heart of home. Christian combines feng shui, space clearing, sacred geometry and exploring our karmic connections to the spaces we are drawn to live in. He calls this process House Whispering, discovering our deep connection to the heart of home. These workshops are a great opportunity to spend time learning and connecting, sharing knowledge and discussing our experiences. A very enjoyable and inspiring weekend which brought about some huge breakthroughs and shifts in energy for several of the participants. As a result of the work done at this workshop, the speed with which energy shifted and tangible results experienced, was, in some cases, quite extraordinary! Summer, creativity and having fun! Feng shui, Summer, Creativity and Having Fun! What does your inner child want to do today? As children, our long summer days were full of possibilities. Lots of fun to be had, doing whatever we liked, with no fixed schedule. As adults, we rarely afford ourselves that luxury. Days off are filled with “to do” lists which often don’t include anyth ing creative, fun or frivolous. However, this makes our lives somewhat robotic and repetitive and often uninspiring. Feng Shui is concerned with creating balance and experiencing more joy, so that we can relax and be less stressed and have some fun! This month, I suggest connecting to your creativity; your second chakra – your creativity and pleasure centre. Schedule FUN and creativity into your day; yes! every day, even just for 15minutes. It will reap huge rewards in every area of your life. In feng shui the area generally associated with this energy is West/creativity area. The element is metal and in the I ching it is associated with “youngest daughter” (Tui) Lake energy. Its essence is reflected beauty. Associated with imagination, the arts, music and anything, which gives us pleasure. It represents our sensory organs of taste, smell, touch, sight, and hearing. In particular, fragrant blossoms, glistening ponds, delicious desserts and harmonious music enhance this energy. Look at ways to stimulate all of your senses by introducing beautiful scents, colours, textures and sounds into your environment. Citrus oils such as orange and petitgrain add a zesty playfulness to the environment. Grapefruit aids in letting go of indecision and procrastination and is clarifying, releases tension and heavy feelings and allows us to feelclarified and refreshed. Melissa(Melissa officinalis – lemon balm) often referred to as “the elixir of life” it is said to restore serenity and innocence. Experiment with a blend of some of these oils or just one – whichever you are drawn to and fill your space with joy this month! 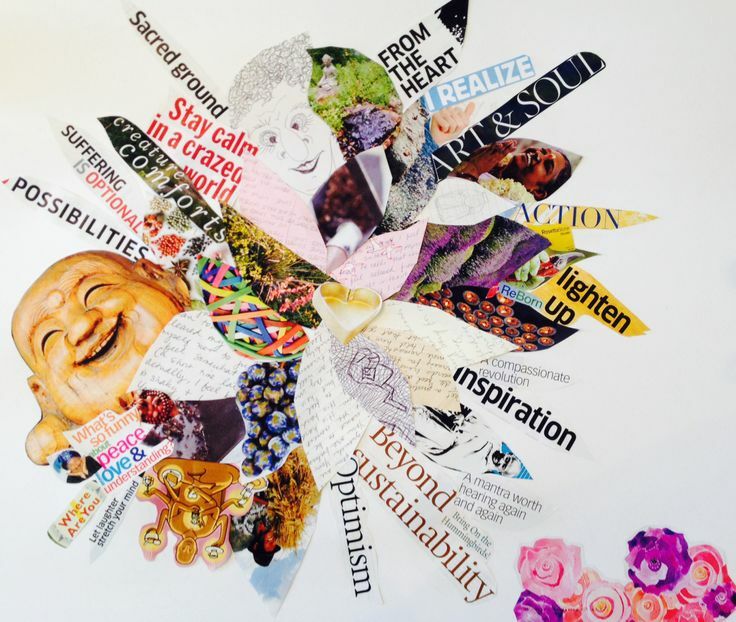 Another way to easily open yourself up to creative possibilities is to create a vision board. Simply cut out images and words, sentences and arrange them on a board to remind yourself of what you would like to have more of in your life. You can take coloured pencils and markers and literally “draw in” whatever you would like to enjoy this month. No limits here, just play with it! 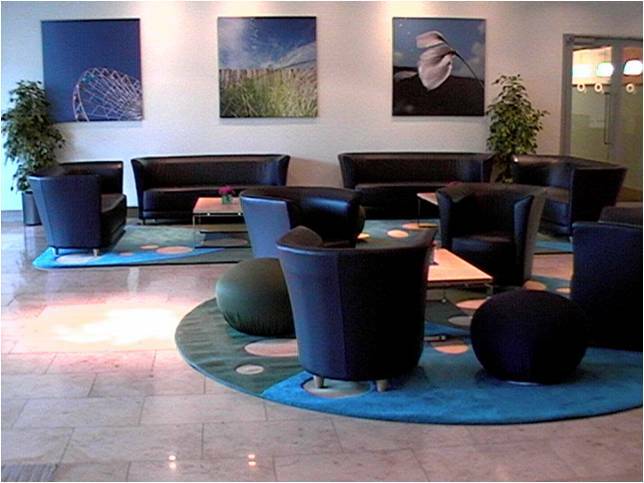 Applying feng shui to a modern open plan office space can appear initially to be quite complex. But if you bring it back to the basics of yin and yang balance and creating a more comfortable and natural space to occupy it can become a creative and enjoyable experience. Simply introducing natural materials, plants, perhaps a water feature and some imagery of natural scenes creates a more relaxed and enjoyable space to occupy. I will be doing a series of posts on this subject in the next few months, giving practical and common sense tips on making your workspace a more enjoyable space to be. In feng shui we look at ways to create dynamic balance and ease ofmovement and flow in our environments. This same sense of movement and flow is then mirrored into every area of our lives. 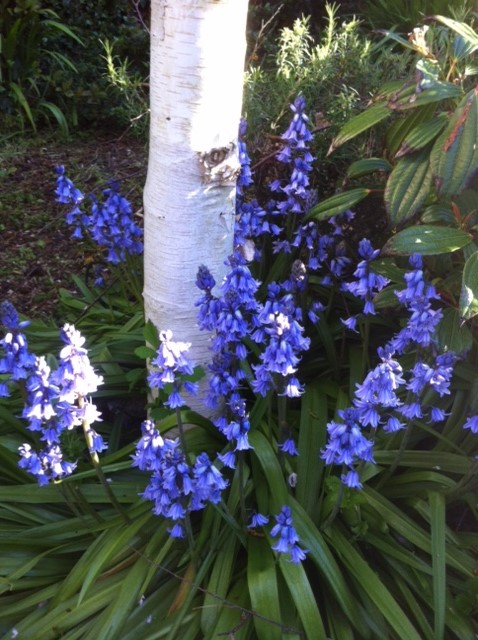 Spring flowers are finally blooming and there is a real sense of restlessness to get up and running. But before taking off at full speed, take a moment to set your trajectory! Mother nature has a natural sense of rhythm. There is a time and a season for everything. At this time of year there is a sense of rising and proceeding energy. Spring flowers are finally blooming and the birds are busying themselves gathering what they will need to build their nests. Readying themselves for this years new beginnings. This is a great time to take stock. What areas of our lives do we want to shift and change? what areas would we like to see more movement in? Is there enough of a balance between stability and movement forward? Feng Shui provides invaluable tools to analyse our spaces and be pro-active in creating the type of dynamic balance we want to have in every area of our lives. • the importance of tapping in to your best directions while you sleep, work and relax. With special emphasis on feng shui for entrances, bedrooms and home offices. Taking a closer look at the effects of Feng Shui and the directions we face as we work, rest and play on our well-being. When endeavouring to describe the essence of feng shui, and what it means for me, I have come to the core truth that it is about creating a deep and supportive connection between who we are and the space that we call home. The HOME we talk about when we discuss “feeling at home” or “making ourselves at home” or when we discuss “home truths” or “home being where the heart is” is a concept, a feeling, a sense, an essence, if you will; etheric and intangible, yet very REAL. However, there are some places, some atmospheres, some experiences, which can instantly reconnect us, strike that familiar cord deep within. That feeling that grabs us and enfolds us in a bear hug of comfort and love. Like a warm bath, it makes us exhale, relax and release doubt, fear and tension. This, I believe, is the elusive “HOME” that we all seek. What better time to “feather our own nest”? We are here, in this lifetime to enjoy being in relationship with ourselves, with each other and with our surroundings. Our first relationship in life, if we are so blessed, is with our mother. In feng shui this energy of relationships is actually associated with “mother energy” that primal energy of unconditional love. The I Ching Symbol for this energy is KUN, also known as “the receptive” it represents divine feminine, mother energy. Some words to best describe this energy include: elegance, surrender, devotion, support, nurture, mildness, softness, adaptability, vulnerability, loyalty, unconditional acceptance and kindness. Kun represents the practical world of growing and gathering food to nurture, ground and centre our energy, anchoring us into the physical world (Robert Sachs). As Human Beings (humans being) what we all we need, at a primal level, is to feel loved, seen and heard, and nurtured. In tending then, to this area of relationships, this begins with having compassion for and loving, ourselves. Creating an environment in which we feel safe, supported and enfolded, feeds into this sense of belonging and acceptance. It is part of the human condition to also need companionship. There is no use in having all of that abundance, health and creativity, if there is no one to share it with. Much of the joy we experience in life, if not all of the joy, is found in the sharing of our experiences and feelings. In our homes, a key area to address, to enhance this energy, is the bedroom. Our bedrooms are where we retreat to for what I call the 3 R’s – Rest, Recuperation and Romance. Your bedroom needs to feel soft, nest-like, (mothering and nurturing). It should soothe the senses with soft, tactile fabrics, beautiful imagery, comforting scents and soft lighting. Fragrant homeliness is the order of the day. That safe pair of arms to run into after a day “playing” outside. Ask yourself, what does that look like for you? More importantly, how would that FEEL for you! Feel the feeling first, then create that in your environment. Be aware of the imagery and ornaments in this area of the home, it is good to have pairs of things here rather than solitary images. The last thing you see at night and the first thing you see in the morning impacts on your dream-state and how you feel as you begin every day. Go with your gut feeling for what feels appropriate to represent what it is you want to attract in your relationships. But remember, that you are also in relationship with yourself and support your own energy, first, here. 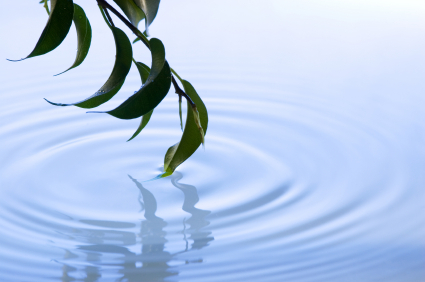 What elements can you add to enhance your sense of being enfolded, protected and nurtured? Ideally, your bedroom should feel like a warm embrace. This is the time of year when life has receded deep within the earth, and it appears on the surface as if nothing is happening. This is the primal state that precedes all growth. There is always subtle movement deep within. This is a space of deep thinking and knowing, of facilitating gentle flow on our journey through life. The Element we associate with this time of year is Water. Water never stops flowing, the ocean never stops its movement and the river moves forward. It is soft and yielding, fluid on its surface but has great strength within. In Feng Shui this energy represents our movement through life as well as our career or profession. It represents the way in which chi or energy ideally moves like flowing water – so that when things are going smoothly we can say we are going with the flow or conversely swimming against the tide. Water represents the freedom to do what we want to do – for life to flow easily and effortlessly with clarity and ease, on our journey/life-path. As the winter solstice approaches we are again at another tipping point in the year, when we reach the shortest day on December 21st, the sun begins its journey back to us again and each day from then on brings us just a little more light. This month take a look at area 8 of your bagua (the northeast if using compass directions/the area to the front and left of your property if using western three door gate feng shui). This area is associated with knowledge, spirituality and inner knowingness. We are spiritual beings having a human experience. It is vital to still the mind in order to connect back to this truth. We have so many distractions in our modern lives to keep us occupied and activating our minds, making it even more important to be conscious and make the decision to reconnect daily. Where you focus your attention, your energy will flow, creating an outcome, offering a solution. Samhain is the Celtic festival marking the end and the beginning of the year. A period of rest and regeneration, in preparation for the new year to come. This is a time of communication with the ancestors, of going within and recognising our unique place in the continuum, of which we are all a part. A time for deep journeys within, to connect to our inner wisdom. Our ancestors welcomed the darkness, as a necessary blanket, under which, the seeds of the new year could germinate. In feng shui we associate this energy of contraction with the metal element. On the bagua (energy template we place over the floor plan) this energy is associated with the west- creativity. This area will benefit from some extra attention at this time. To begin with, do a clean sweep, just like mother nature, shedding her leaves and fruit. (shed anything you are ready to let go of). Then get creative! Why not do a “treasure map” of what you would like to draw into your life in the coming months”. Take on a new creative project – just for the fun of it! Be joyful and child-like with this – do what feels fun to you! Create a collage, do some artwork, take out your cookbooks and inspire yourself to create some new dish, for instance. In Ireland, this was traditionally the time of year our grandmothers made the christmas puddings and cakes, to allow them to mature in time for Christmas. This area of the bagua represents imagination, the arts, music and anything, which gives us pleasure. It represents our sensory organs – taste, smell, touch, sight, and hearing. In particular fragrant blossoms, glistening ponds, delicious desserts and melodious music enhance this energy. It carries the essence of lake energy which is reflective and deep. The element associated with this area is metal which can be introduced by using the colour white, metal objects and curves or arches (which embody the contracting condensing nature of metal) to enhance this energy of creativity in your life. 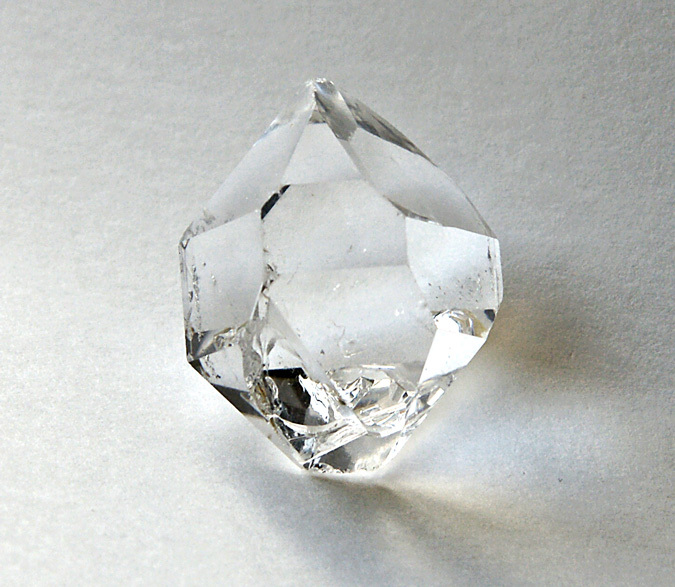 Herkimer Diamond – which is said to energise, enliven and encourage creativity. 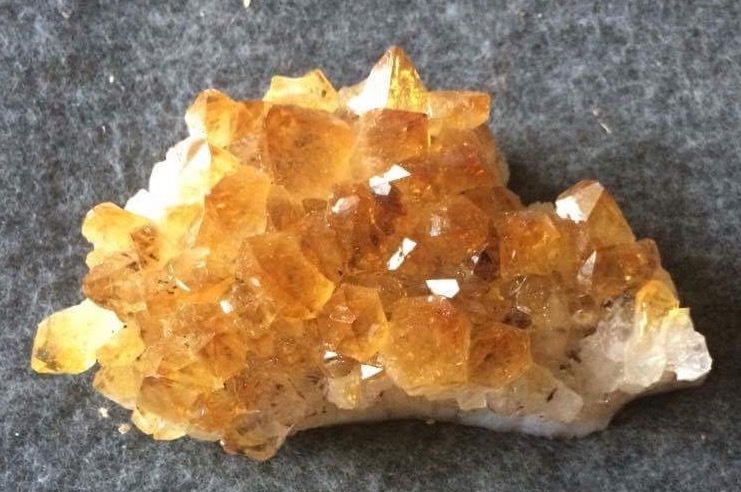 Feng Shui Design Citrine – Warming and highly creative, it absorbs, transmutes and dissipates toxic energy or conflict. Feng Shui Design Orange essential oil has a sense of playfulness, develops creative awareness and is uplifting and cheering. 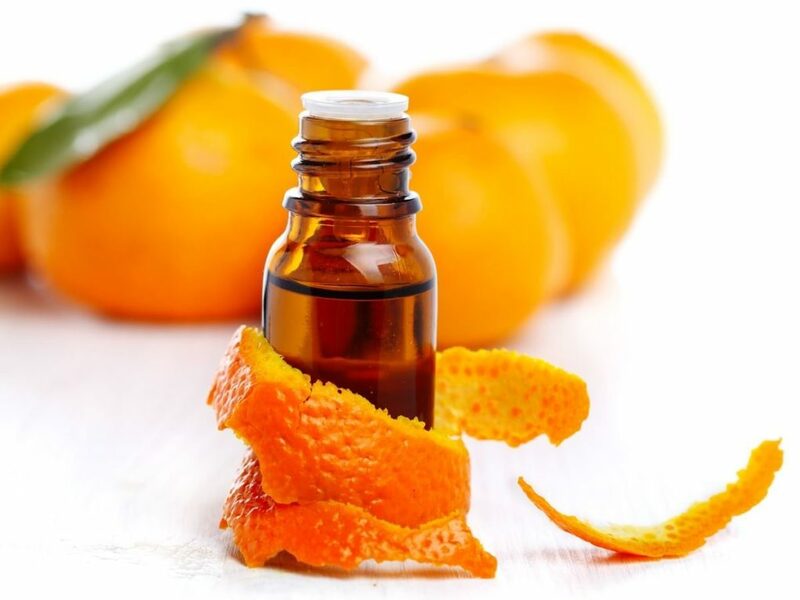 Orange Essential oil – Joy in a bottle! Jasmine can reawaken passion and restore a capacity for creativity for “fertility of the mind”. Many oils are useful to disperse in the helpful friends area of the bagua, such as ….. Lavender – clearing and balancing for all of the chakras. Associated with Love, tenderness and generosity, lending support, consolation and spiritual nourishment. Instills PEACE. Oak Moss – a lichen usually found growing on oak trees. A dark green and viscous liquid with an extremely tenacious aroma reminiscent of a damp forest floor. The scent is uplifting, cooling, and calming. Said to attract nature spirits and support from the earth elementals. Linden Blossom- a sweet, floral, light green aroma. It is said to have the energy of flowing water, as though the angels have touched it. It is calming, protective and healing in nature, it is said to represent “love in action”compassion and caring. I am sure many of your are feeling the acceleration of energy at this time of year, it is a busy time of harvest and gathering before winter settles in. In Feng Shui we associate the metal element with this energy of contraction. The movement of metal is inwards, gathering, hence the association with gathering crops, people coming together etc are associated with this energy. Circular and round shapes hold this metal energy of contraction and gathering in. The first area of the bagua (energy template we place over the floor plan) associated with the metal element is northwest – helpful friends, mentors and guides. This area will benefit from some extra attention at this time. To begin with, do a clean sweep, just like mother nature (shed anything you are ready to let go of). Once this is done look at the area of “helpful friends” in your life. Do you have a support system that you can rely on and are you equally there for others in your life when they need support? Also associated with travel, this area is associated with masculine, archetypal father or Heavens energy. It represents visible and invisible means of support and guidance. It also represents philanthropy and our willingness to help others. 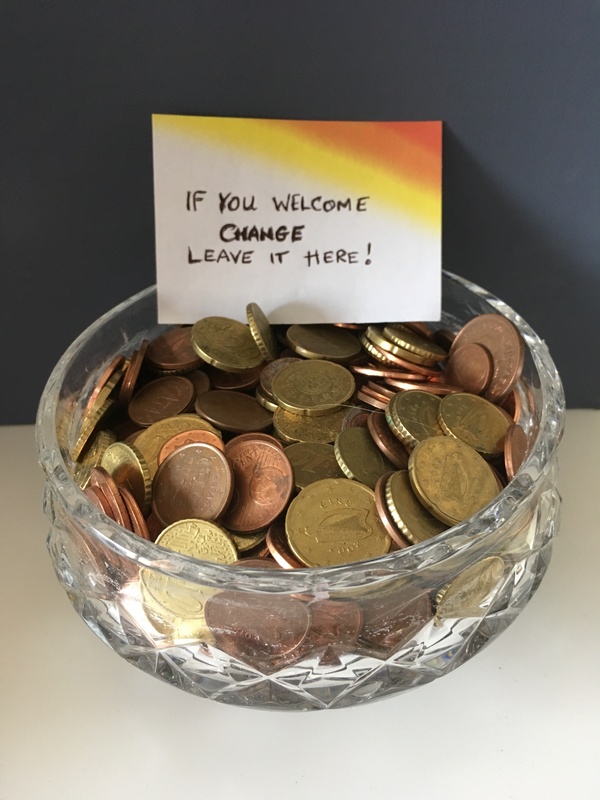 To enhance the energy of philanthropy, keep a metal bowl in this area of your home and empty your loose change into it at the end of every day. when it is full, gift the money to your favourite charity and begin again. This creates a seamless reciprocal flow of energy in and out, sharing your blessings. Organise a gathering, do a collage of photos of your friends, family, guides and mentors (living and in spirit) and display it in this area of your home, to remind you of your connection to your support system. On 31st October we will celebrate Halloween. This was a time when our ancestors gathered round a bonfire, to celebrate the year that had passed and cleared out any excess in readiness for going within – using the deep quiet of winter to plan for the year ahead. Samhain is the celtic festival marking the end and the beginning of the year – marking a period of rest and regeneration in preparation for the new year to come. This is a time of communication with the ancestors, of going within and recognising our unique place in the continuum of which we are all a part. A time for deep journeys within, to connect to our inner wisdom. Our ancestors welcomed the darkness, as a necessary blanket, under which, the seeds of the new year could germinate. The lighting of fires and bonfires and even now, the symbolic lighting of candles inside carved pumpkins, symbolise the light within, which burns throughout this time of darkness and renewal. Take some time this month to do a clear out of what you no longer wish to carry forward into next. Make a point of gathering with “your tribe”. Those friends, family and mentors, who you view as your support system. Use a cold air aromatherapy diffuser to diffuse essential oils for 20 mts before going to sleep. This scent then becomes a trigger to encourage an atmosphere of calm, conducive to drifting off to sleep. 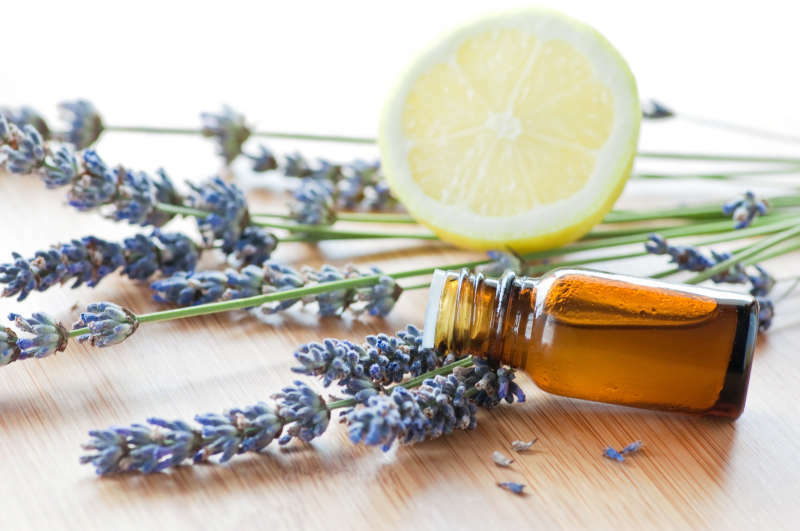 Lavender – creates a sense of peace and harmony, balances the chakras and activates the crown chakra and the connection with spirit. Said to release negativity and calms and stabilises the chi of the heart. 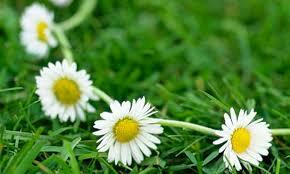 Chamomile which is soothing, calming and particularly helpful where anxiety is inclined to make a person fretful. It smoothes the flow of the bodies Chi energy and regulates the movement of vital energy helps to relax the nervous system. Its warm apple-like fragrance imparts a well known calmative effect. ALWAYS ENSURE YOU USE PURE AROMATHERAPY OILS RATHER THAN SYNTHETIC PERFUME OILS. 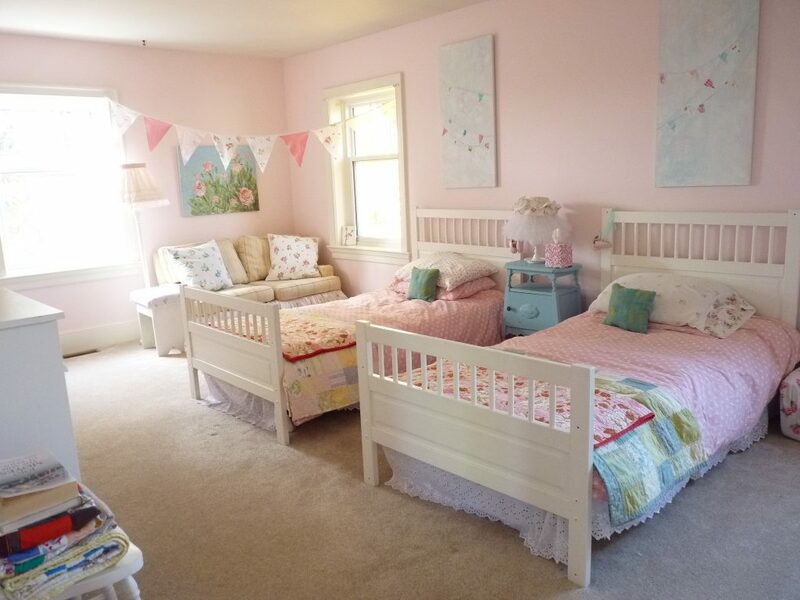 Childrens bedroom in soft muted pastel colours. Bunk beds and beds elevated over desks are not ideal as they restrict the energy above the bed. Which is said to restrict your potential. For best effect do not have mirrors in childrens bedrooms. Restrict mirrors to just one if possible. This should not be visible from the bed. 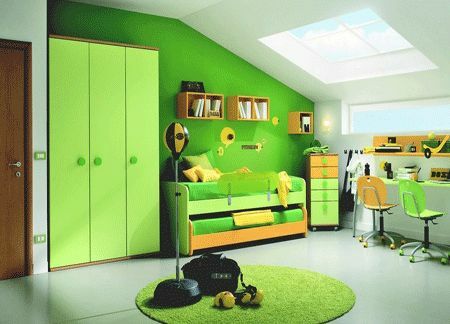 Childrens bedrooms should not resemble playrooms with primary colours and stimulating imagery. Think restful, calm and peaceful energy when decorating bedrooms – this is your space to relax, unwind, heal and regenerate. Have a feng shui consultant calculate your best direction to position the bed while sleeping. We all have 3 better directions to position the bed to optimise our energy while we sleep. If there is only one position for the bed due to built in furnishings etc, and this is not utilising one of your better directions, there is always a balancing element that can be added. Obvious though it may seem it is worth mentioning that bedrooms should be uncluttered, well maintained, well ventilated and well lit. Pay attention to your first impression upon entering this room. Does it feel private, safe, inviting, light, joyful? If not what elements can your remove/reduce and what might you add in, in terms of imagery, colour etc? In general, soft neutral colours and muted accent tones work best in bedrooms. 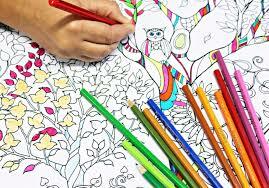 Avoid busy patterns and full chroma / primary colours as they are stimulating and do not allow the eyes to rest. While we sleep our physical body rests and rejuvenates and our spiritual body expands into the vast spiritual realm that is our true home. Therefore this is when we can feel at our most vulnerable. Therefore it is vitally important to pay close attention to the siting of the bedroom within the home, the positioning of the furnishings, EMF’s, geopathic stress, colour and materials in order to maximize the restful and regenerative function of this very important space. Ideally the head of the bed needs to be backed up by a solid wall and not placed with the bed-head to the window which is stimulating and counterproductive to restful sleep. Having a solid wall behind the bed, a headboard and equal space on either side of the bed creates a sense of stability and balance. The bed should be positioned with a commanding view of the door but not in line with it which can stimulate the occupants chi/energy leading to poor sleep and disharmony. The bed should not be under a slanted wall which is said to bring slanted unforeseen outcomes and causes compressed, oppressive energy. Now is the only time there is, here is the only space. Summer Holidays offer us the opportunity to step off the treadmill and press the pause button. For some, it can take a while for that steam train to slow down and come to a complete stop, unwinding can take longer depending on just ho w fast paced your life has been. August is the month when the busy growth cycle has reached its peak and there seems to be a gently slowing before the autumn contraction begins again. Take some time this month to just stop and take in your surroundings, take in how you feel, how your energy is, right here, right now. Get out into nature if you can, sit in a quiet place and just be. Marvel at the miraculous detail in a single flower. For just this moment there is nowhere else to be, nothing else to do. Feng shui provides us with a system to measure where we are on that scale of expansion and contraction and make adjustments accordingly. However, often we need to first stop and take stock before taking action. The first step, before applying feng shui can be to clear out what we no longer need in our surroundings. As you know I love to work with essential oils to create a shift, or a pause in atmospheres. They are natures gift for body, mind and spirit, allowing us to immediately establish ourselves in the present moment, and pause before taking appropriate action. Cedarwood – a sweet, balsamic, woody aroma which is grounding, steadying and calming. It gives a cosy, secure and grounded, transforming difficult situations into a sense of spiritual certainty. It allows us to steady our energy in the moment. Eucalyptus – a camphorous, piercing aroma with a woody and sweet undertone. It disperses stagnation, clearing our heads, boosts our immune systems, restores vitality, revives our spirits and gives us “room to breathe”. Juniper – a fresh and woody aroma with a peppery note. One of the very first plants to be used by native peoples as a ritual incense. It was used by the Tibetans and Native Americans for ceremonial purposes. It has an ability to disperse and cleanse energy. It helps to release worry and restores our sense of purpose and openness. NB ALWAYS SOURCE GOOD QUALITY, ORGANIC (WHERE POSSIBLE), PURE, ESSENTIAL OILS. I recommend diffusing them in a cold air diffuser which gently releases the aroma into the atmosphere without depleting the efficacy of the oils by heating them. Place 4 drops cedarwood, 2 drops eucalyptus and 2 drops of juniper into the diffuser and allow to waft gently through the space. Take a few minutes to inhale and exhale fully and deeply. Scent will immediately bring you into the present moment, giving you a moment to pause. We say it to one another “stop and smell the roses”. 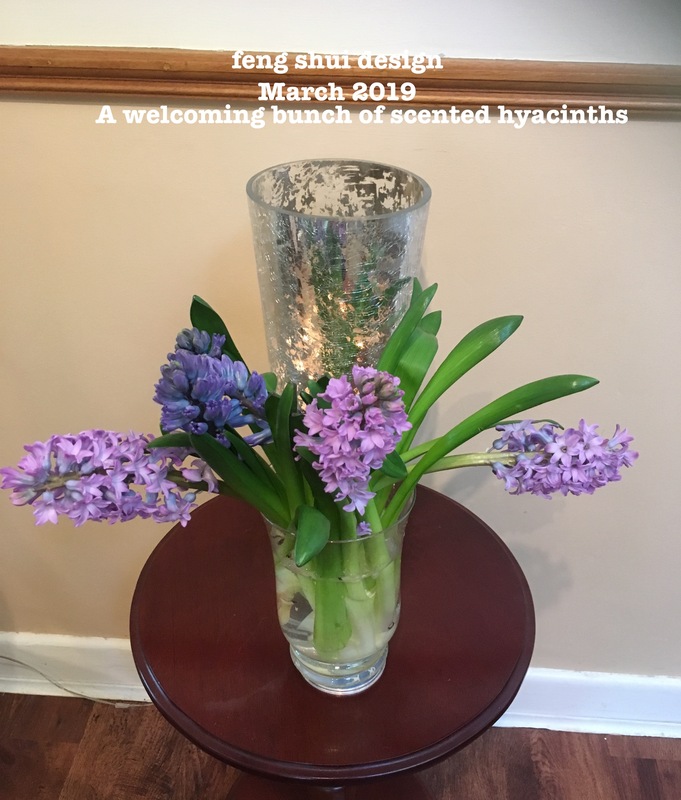 Take time to enjoy all of the wonderful scents and sights out in nature this month and bring some of that back inside as a reminder to take time out in every day to stop, regroup, breathe….and then begin again, refreshed and renewed. July 2017 the fiery centre of the year. Summer is in full swing, and we are experiencing lots of movement with people coming and going on holidays, barbeque’s and socialising with friends and hopefully, some time to sit in the sun and read a good book! 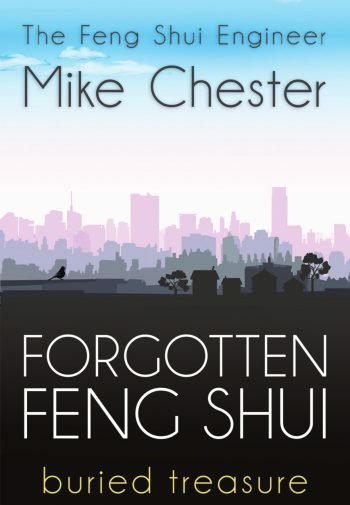 With that in mind, I would like to recommend a great new book on feng shui by a fellow feng shui consultant Mike Chester – the feng shui engineer. 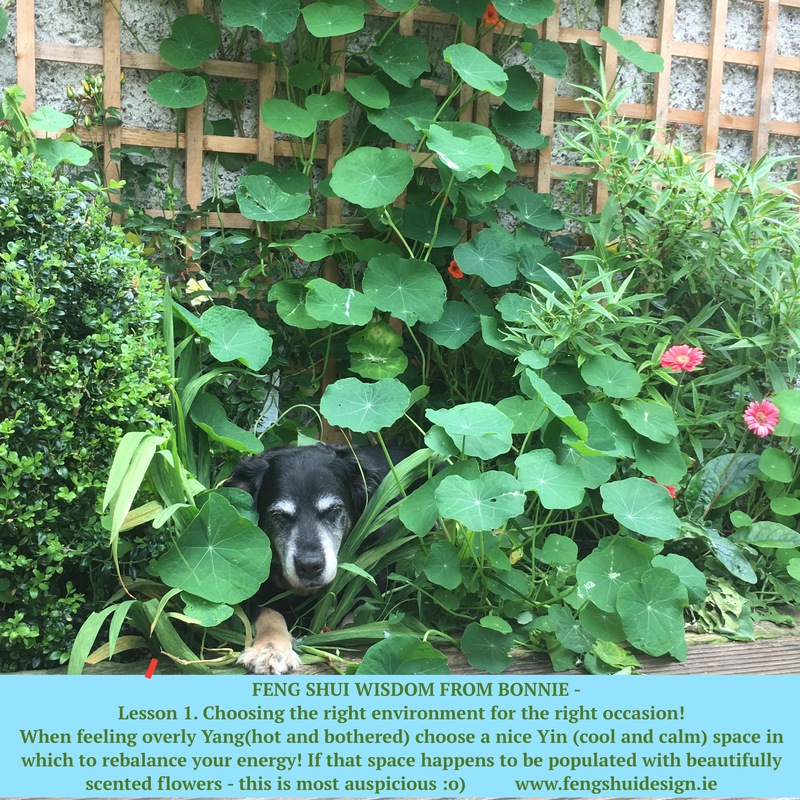 In his new book “Forgotten Feng Shui” Mike revisits the basics – energy flow and containment and the five elements in his own very practical, hands on and very down to earth style. I have really enjoyed this excellent book and can recommend it to any of you as an excellent guide to read the chi/energy of your environment. Many books out there on feng shui deal in theoretical terms which can be hard to decipher for the uninitiated and therefore difficult to relate to how the information might apply in everyday modern life. This book is an exception – it starts as it means to go on – on a very real note, with a story relating to someones reaction to Mike mentioning feng shui – they said “I dont believe in all that stuff!” and walked away! A common and unsurprising reaction when people have no understanding of just how practical and common sense and RELEVANT feng shui actually is to our everyday lives. This book dispels the myths and brings things back to basics, explaining in everyday language and examples how energy moves and how it can be contained and benefited from in our modern homes. There are some excellent images to explain the theories making them very easy to follow and often very funny and therefore relate-able. The five elements are brought to life with everyday examples of where they are experienced in our environments and how their energy modulates our response to spaces. Fascinating examples are shown to explain this information in a tangible and easy to grasp style. Take some time to relax and go on a feng shui journey this summer, you will find yourself looking at your surroundings through a very different prism afterwards. Can you believe its June already? On June 21st we will reach the mid point of the year – the summer solstice, the longest day of the year extreme yang, expanding energy. Then we begin the journey back again toward extreme yin, contracting energy on December 21st, the shortest day. Mother nature shows us that everything is a balance between yang growing energy and yin receding energy. At the centre of this expansion and contraction we need to retain our own sense of centring and balance. In feng shui, the central core of our homes represents this central hub of the wheel of our lives. This is the stable centre from which balance radiates to every area of our lives. This central core of our living space, is, therefore, crucial to radiating light and balance into every area of our lives. Keeping it free from physical and mental clutter (in the form of things to do, imagery which drags us down etc.) will set us free to enjoy lightness of spirit and joy. This is where we have the opportunity to create focus vs confusion. Like the open palm of a hand ready to give and receive, this area needs to feel open and bright, ready for new possibilities to emerge. Space in which to breath-in new life and possibilities. The essence of the word “home” is a place of sanctuary, where we feel nested, supported and held. Having worked with aromatherapy oils for 30 years, I have found them invaluable in providing a sense of connection to space instantly. Scent brings you right back into memory, into feeling, connecting us with a particular emotion. It can transport us to another place and time. We all have personal associations with scent in the same way as we have with colour. This essential oil has been treasured almost since the beginning of time. Dedicated to the sun god RA in ancient Egypt, it has an association with the solar plexus chakra, at our central core – our “gut-reaction” centre. Sweet and dry with an apple-like tinge, camomile is warming and calming. To learn more about the use of essential oils to enhance the essential energy or feng shui of your home, join us in October for our workshop. Nature is bursting with potential at this time of year. This is the time of year when everything is blossoming and growing with tremendous energy. In feng shui this energy is associated with area 4 of the bagua – Abundance/fortunate blessings. In classical/compass school feng shui this refers to the sector of the bagua oriented SOUTHEAST, warm breezes from the south east, in agriculture you need this breeze to grow a good crop and so to generate wealth. In western black hat sect bagua this refers to the rear left hand sector as you stand at the front door looking in to the space. 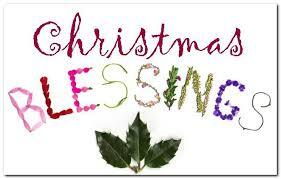 Also known as fortunate blessings, representing all forms of blessing, wealth, opportunity, invitations etc. This area represents the activity which supports you financially or sustains your influence or position. The element is wind/wood and colours used here may be green for growth or a small amount of purple or red to stimulate chi in this area. Not only, the area of receiving money, but also, about having, and being conscious of, good luck in every area of our lives i.e. good omens, harmony and health as well as prosperity. Being acknowledged by others in the form of gratitude, promotion or honours through trade associations are all associated with this energy. Ensure that the chi/energy in this area is bright and light and free-flowing. Never allow the energy to become overly yin or to stagnate. Clear out any clutter, ensure that it is freshly cleaned and open the windows in this part of your home to allow a breath of fresh air to enter into this space for abundance in your life. Vetivert – has a warm, rich and earthy fragrance with a slightly woody, almost lemony scent with a molasses like undertone. This oil is very grounding, and is said to manifest money by bringing energy into grounded-ness, magnetising money. A great oil to use in times of overwhelm. Melissa – Also known as Balm or Lemon Balm and cultivated as a “bee plant”, its abundant nectar helps to produce some of the very best honey. Its local name in southern Europe is hearts delight and it has often been called the Elixir of life. It is said to unstop blockages in the energy between the solar plexus (our manifestation chakra) and heart chakra – allowing us to manifest our hearts desire, and to use money in a way that benefits everyone. Basil – also known as “the royal herb”, it has many popular names such as joy of the mountains. It is associated with good luck and harmony. The leaves are heart shaped and a symbol of love in Italy. Basil stimulates the brain and is excellent to refresh your mental powers during a busy working or studying or for anyone needing to concentrate over long periods who then suffers from mental fatigue. Ginger a pale amber liquid Aroma is pungent, warm and spicy. This is a very warming and stimulating, promotes self confidence, self acceptance and self awareness – key word is digestion. It is said to activate vibrancy and encourages blessings. It is excellent for procrastination, where you have very clear plans but lack the energy, drive and optimism to move on them. It is associated with long life and vitality. WORKSHOP ON The ESSENCE OF HOME – Feng shui, space clearing and the use of essential oils to cleanse and enliven your home is on July 1st. Represents all forms of blessings, wealth, opportunity, invitations etc This area represents the activity that supports you financially or sustains your influence or position. The wood or tree element (tall rectangular shapes, the colour green, tall leafy green plants, stripes, columns in architecture) is associated with this area of the bagua as is the element of wind (things that move in the breeze, wind ornaments etc) bringing with it the breath of new blessings into your life. Not just the area for receiving money, but more about having, and being conscious of, blessings and good fortune in every area of our lives. Good omens, harmony and health as well as prosperity are all associated with this energy. Wind ornaments, chimes, fans and mobiles can be used to enhance this energy. Woodland imagery, tall leafy green plants, are useful in this area. Four leaf clover, has particular significance for blessings in this part of the world. 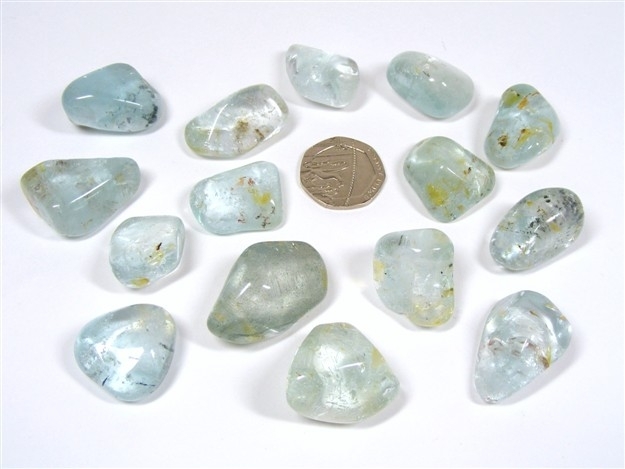 Crystals which are useful in this area of the bagua include: Citrine and Jade. En-joy this time of new growth and vitality! Bealtaine – Celtic May festival – Festival of expectation. Honoring the festivals of our ancestors connects us to this combined wisdom. Our ancestors knew that we are not separate from our environment. We are deeply connected to Mother Earth and her seasons and cycles. In connecting in with the cycles of the seasons we remind ourselves of the natural ebb and flow of energy that we are deeply rooted in. This turning point festival reminds us to take time to connect with what we wish to manifest in the new growth of this year. 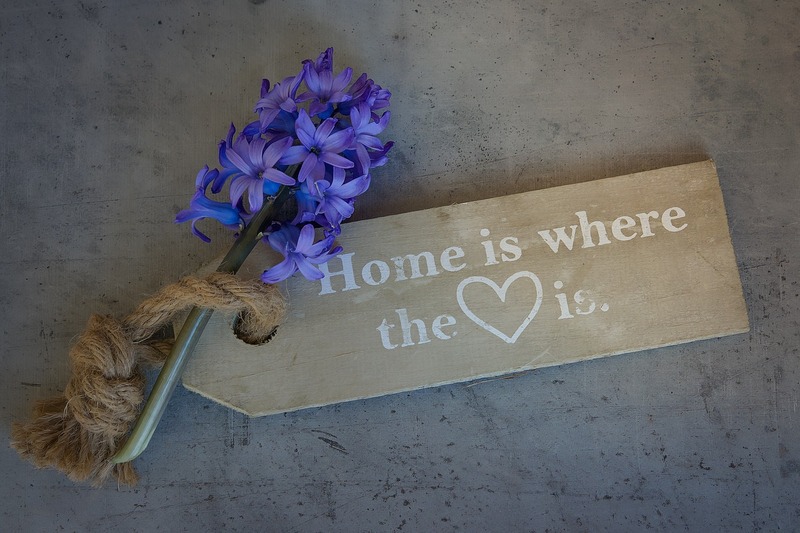 The essence of feng shui is in creating a sense of connection to your living space, giving it a greater sense of “home”, a space of nurturing, enveloping and supportive energy. Alongside the principles of feng shui, we also use space clearing, creating sacred space and the use of essential oils in the environment to cleanse, uplift and enliven our homes and workplaces. On June 10th we will explore the essential alchemy of feng shui – First creating space. Through clearing out what is no longer supporting your true self, then cleansing and blessing the energy of your home, you create the space to draw in your pure potential. Building on the foundations of feng shui, the alchemy of clutter clearing and the essential elements of space clearing, we explore the importance of creating space, opening a portal for what you wish to draw in. Experience the use of sound, blessing herbs and essential oils to cleanse, bless and enrich your environment – your outer skin. Explore the importance of the “gap”, that sacred space between outbreath and in-breath, taking time to set your intention. This is the key, the central core of feng shui. In this workshop we will be delving a little more deeply, with 9 essential oils and their healing energy which can clear space and enrich and balance our energy and that of each area of our lives. Allow yourself this time to pause, take stock and clear out fully. In order to embrace your space and ignite the spark of pure potential. Embrace the Space for Pure potential – Exploring the essence of feng shui, creating the space for your life to unfold. We are officially in springtime. We can see the evidence of new growth and vitality in nature all around us. This is a time to ground your energy in order to stabilise yourself to support new growth in the coming year. In Feng Shui we associate area 3 of the bagua with this energy of full on growth and vitality. In classical feng shui this refers to the sector of the bagua oriented EAST. In western black hat sect approach to feng shui this refers to the middle left hand sector as you stand at the front door looking in to the space. This area is also known as family, ancestors and the past. You might wonder, then why it is also associated with new growth and vitality? In order for a plant or tree to survive and thrive, it must first put down roots. We hold a close association between family energy and tree energy – “our family tree, putting down roots, the branches of our family”. In feng shui we pay special attention to honouring and keeping this energy vital and fresh within our living and working spaces. In honouring and caring for our roots, our lineage and all of the elements that have combined to bring us to this point in our lives, we then stabilise our energy to prepare and support new growth and vitality. Recently I was delighted to reconnect with friends from the area where I grew up, through a facebook page where people share photos and stories of their memories growing up. I got in touch with people who grew up on the same road and from school days. Many of whom, I haven’t seen in over 30 years. The shared memories reconnected me to my roots and really reminded me that underneath we are all essentially still the same. We are all on the same journey, shaped by our experiences and by those with whom we have shared parts of the path along the way. This area of the bagua reminds us that we are part of a lineage, all connected going back and moving forward. This energy is associated with agitation, “the arousal” of energy, awakening from the winter. Often this energy appears as a bolt from the blue which stimulates us into action, that spark of inspiration. This energy represents the full force of spring, very dynamic, yang energy. It is essential to ensure a free flow of energy in this area of your home, to create a feeling of a fresh spring breeze representing a new day and fresh growth. It is also useful to have something in this area which reminds us of family and the past. We are anchored and stabilised by our past, by the fact we are a part of a long line of energy reaching back through our families, our communities and through our ancestors. The colour associated with this area is green and the tree element. The plant most often associated with this area is bamboo as it grows quickly and easily, bends with the breeze and is very strong and supple, able to withstand all weathers. In the east, this area is associated with the green dragon, rising out of the depths, reaching toward the sky. The Dragon has the essence of a young puppy, full of life, and youthful exuberance. Clutter in this area of your space will keep you stuck in the past unable to move forward or begin anything new. Take some time this month to Spring clean this area of your home, clear out anything which you no longer “find to be beautiful or know to be useful”. Refresh and renew the energy with some space clearing and some essential oils like eucalyptus and open the the windows and allow your space to exhale stagnation and inhale new life and vitality! Feng Shui looks at the energetic connection between the homes we occupy and the energy of every area of our lives. We are in constant conversation with the spaces that we occupy, the aspect, quality of light, furniture layout and decoration is constantly interacting with our energy field – for better or worse! In this workshop we will cover the basic elements of feng shui in a practical application for our living and working spaces. We will also look at the energy of each colour of the spectrum, discussing how it effects us on every level physically, emotionally and energetically. We will look at how best to use colour to create spaces that can uplift or energise or, conversely, calm and relax us depending on the space in question and our individual needs. Colouring a space for a fashion reason is one thing but colouring your space so that it reflects you and the type of atmosphere you wish to generate is something quite different again. Spend a day exploring the best use of feng shui and colour in our environment. Whether you love bright bold colours or prefer a more neutral palette, you are being effected for better or worse by your environment. Some colours are stimulating and others are more calming, but it is the particular tint tone and shade of a colour and the quantity used that creates the magic. “We shape our buildings and thereafter they shape us” Winston Churchill. WORKSHOP CONTENT: We will explore the world of feng shui and take a close look at each colour of the spectrum and view it energetically, ie how it makes us feel, emotionally, physically and even spiritually. We will delve deeply into the world of colour and explore how best to use it to create spaces that fully support our energy and sense of well being. In feng shui, we pay close attention to the elements found in nature – water, wood, fire, earth and metal. 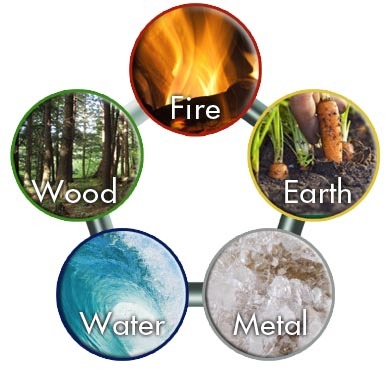 In fact, we utilise these five elements as the basis for creating a natural flow of energy throughout our living and working spaces. But what about your own element? We are all born with a particular energy signature made up of a combination of three elements. This is the filter through which we live our lives, act and react and provides an indication of the subtle changes in our individual energy from year to year and month to month. Surrounding yourself with elements which support your individual elemental signature can really boost your energy. For instance, if you are a metal energy individual, you might add more earth energy to ground and support yourself, and diminish the use of fire energy which depletes your personal energy. I am sure many of your are feeling the acceleration of energy at this time of year, it is a busy time of harvest and gathering before winter settles in. On 31st October we will celebrate Halloween. This was a time when our ancestors celebrated the year that had passed and cleared out any excess in readiness for going within – using the deep quiet of winter to plan for the year ahead. On February 5th 2017 in our workshop -9 star ki and Feng Shui – We will discover more about your own personal energy signature and how best to support yourself within the energy of your home. We are all born with our own individual energy signature, our filter through which we view and engage with the world. In this workshop we will delve into this inner energy, exploring how this is linked to our life path and how best to support our individual energy with feng shui in our homes. Use this time of darkness, at Samhain, to draw your energy in and plan for the new beginnings you wish to invite for the year ahead, before the wheel of the year turns again in December and the light begins its journey back to us. 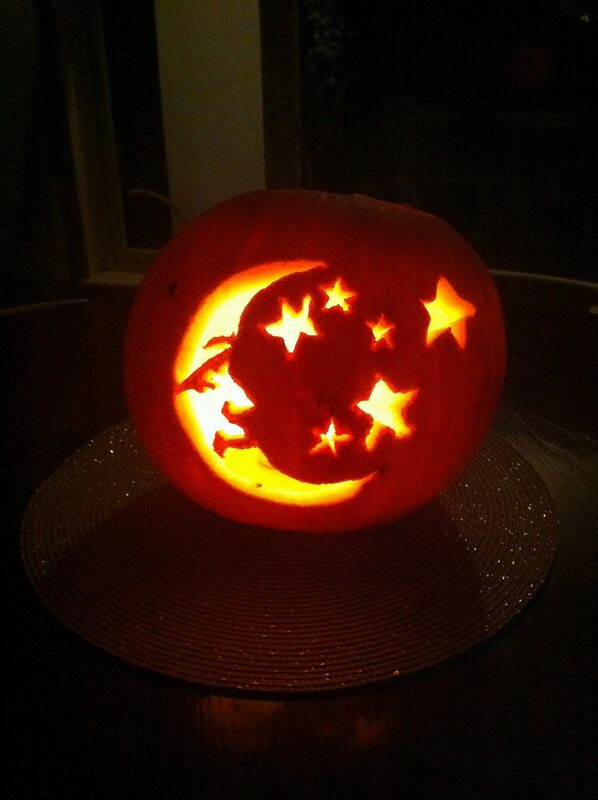 Wishing you all a very Happy Samhain and Hallow-e’en! Hard to believe its September already! But here we are, and school is starting back for some and people in general are getting their autumn schedule in order. There are still some places available for the Colour and Feng Shui workshop on October 1st where we will learn all of the basics of feng shui and how to apply it easily and effortlessly to your home and then we will layer in more detail on the use of colour in our environment from an energetic perspective. Colour affects us all on every level, it affects our mood, our energy, our temperature and can bring us into memory affecting our emotional being. Join us for a day to indulge your senses – we will explore the chakras, and in particular the second chakra and explore and enhance the feng shui area for joy and creativity in our environments. At the end of the hustle and bustle of summer we begin to feel an instinctive urge to contract, simplify and reorganise our homes and our lives as we head into winter. Our energy focuses inward again, for some, this will involve study, for others a more quiet time of routine and order. We can only expand so far before the pendulum needs to swing back into contraction – this is the natural order of things. Feng shui provides us with tools to put some order and balance into our living spaces so that they support and uplift us as we go about our lives. The process involves mirroring the dynamic (moving) balance found in nature into our homes and workspaces. In the autumn mother-nature begins to clear out the excesses of the summer – releasing and letting go of her leaves and fruit – the abundance of this years’ growth. She lets go and draws her energy in so that she can rest and recuperate before the whole process can begin again next year. In feng shui we view our homes as our “outer skin” mirroring back to us what is going on inside. If our surroundings no longer reflect what we would like to have more of in our lives, then maybe it’s time to have a clear out – literally creating some clarity in our space and therefore our lives. Enjoy this time of releasing what no longer serves you to begin the process of drawing your energy in, in order to begin again. In this workshop we will cover all of the basic building blocks of feng shui, yin yang, the five elements, the use of colour, pattern, artwork etc. to improve the energy of your home so that it supports your own energy and allows you to draw in your hearts’ desire for abundance, blessings and harmony. We then delve a little more deeply into our connection to Mother Earth, exploring, and mitigating for, stressors such as geopathic stress, cutting chi, effects of neighbouring buildings etc. Taking in the landscape surrounding our homes, their orientation, feng shui for the garden (or container garden). Whether you are an avid gardener or simply like to potter with a few containers, either way, you are deepening your connection to mother earth, to the cycle of the seasons. Feng Shui is about creating dynamic balance i.e. moving, evolving, emerging balance in our lives. Connecting in with the cycle of the seasons, by working with mother earth will deepen your sense of “belonging” – being in the right place, at the right time, heading in the right direction, for you, in your life, at this time. Join us for a day packed with information, ideas and inspiration for creating a deeper connection between your energy and that of your homeplace. Our August workshop will concentrate on exploring our deep connection to the spaces in which we live and to the energy of the landscape we occupy. 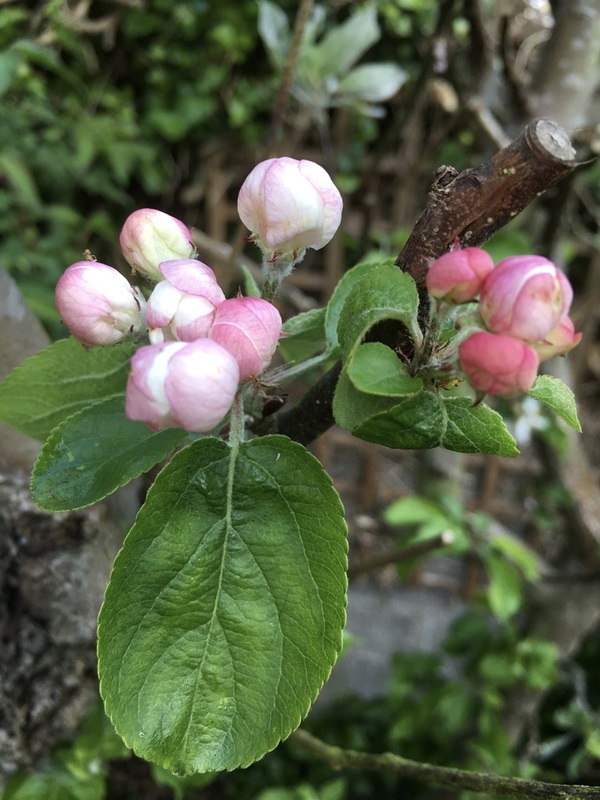 Whether you have a large garden or you simply have a few pots and containers in which to plant, either way, you are deepening your connection to mother earth and to the cycle of the seasons. Planting, growing and “harvesting”, flowers, food, herbs etc. connects us with the cycle of the seasons, reminding us that change is the only constant in our world. There is a time for planting, nurturing, growing, maturing and also, for shedding and dying back to begin the cycle again. Building on the foundations of feng shui, we will cover all of the basics of applying this wisdom to our homes and how this impacts on our individual energy. 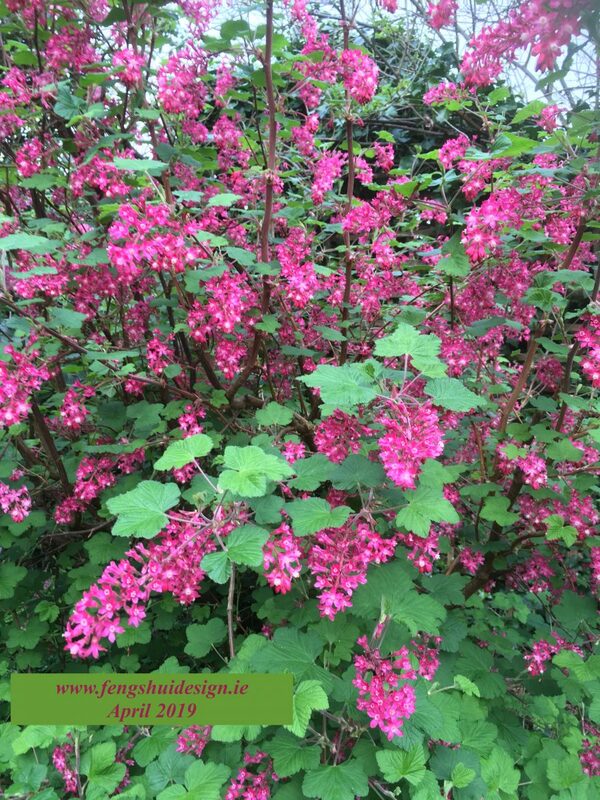 We then take a closer look at the feng shui of place, our position in the landscape, the shape and orientation of the plot we live on, the planting we add to our gardens, creating a natural flow in our gardens and interiors etc. and how this can create a more balanced flow of energy in our lives. We look at the energy shape, colour and proportion to create a natural support for our energy as we go about our lives. Allowing our homes and gardens to support our energy fully. We look at the impact of geopathic stress, the energy that comes from the earth itself when it has become stressed. This can distort our own personal energy and can greatly affect growth and health of the plant and animal life in our environs. We explore the importance of first making space, opening up a portal, for what you wish to draw in. Feng Shui provides us the tools to create dynamic balance in our homes and environment to encourage stability, flow and blessings in our living and working spaces and therefore our lives. Allow yourself this time to connect on a much deeper level with your home and its surroundings. Learn about the building blocks of feng shui – yin and yang, five elements, energy/chi flow folding this information into the decoration and layout of our homes creating a dynamic balance of energy which supports every area of our lives. Learn how to apply feng shui to your individual floorplan –each area of our homes has an energetic connection to every area of our lives – life-path, relationships, creativity, abundance etc. working from the outside-in to create balance. Learn how to use mirrors, sound, lighting, water and symbolic objects to optimise the energy of our homes and gardens. Learn about the energy of earth itself, how it affects us mentally, emotionally and physically. How to design and plant your garden to enhance the feng shui of your life, creating an even deeper connection to Mother Earth. Optimise both the energy of your living space and consequently your own personal energy. Gift yourself this time and space to view your home and life from a whole new perspective! Lilac and Rowan in full bloom. 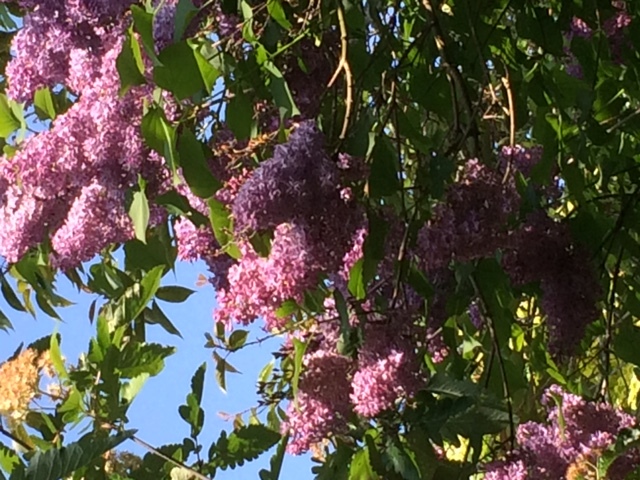 The Lilac is one of natures simplest and oldest bushes, Lilac delights our senses with her heavenly scent and “feeds” our brain cells through our sense of smell – giving us “food for thought”, bringing us into alignment with our environment. The Rowan – the lady of the mountains- is associated with Brigid, from whom comes inspiration for the creative arts. Often called the “whispering tree” – if you sit with her and listen, she may share her secrets and inspiration with you. At the summer solstice on June 21st we arrive at a turning point in the year when the length of the days are at their peak – extreme yang, expanded energy. Everything is in full bloom – nature is bursting with energy. Take some time outdoors at this time of year to breathe in this abundance, notice the plant and animal life – how vibrant everything is, the colours of the flowers, the green of the grass and leaves, pause and take 16 seconds to come into the present moment (inhale in for 4 seconds, hold the breath in for 4 seconds, exhale for 4 seconds and hold the breath out for 4 seconds #Davidji). This is a perfect way to ground and centre your energy at any time – especially if you are going through a particularly busy or stressful time. Feng Shui – Gardening for the Soul – on June 18th, we will delve deeply into our connection to Mother Earth. Breathing in the natural rhythm and order of nature, tapping into this amazing support network which surrounds us. 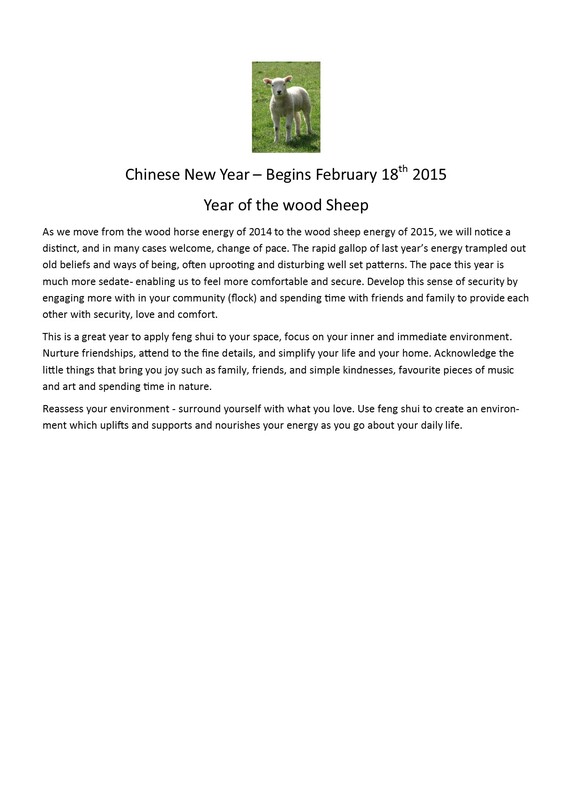 This month we expand our feng shui outside into Nature. If you are lucky enough to have a garden, we look at how the bagua expands into the garden space and how to boost the energy of each area with planting, lighting, ornamentation etc. to support and balance the flow of energy surrounding your home. 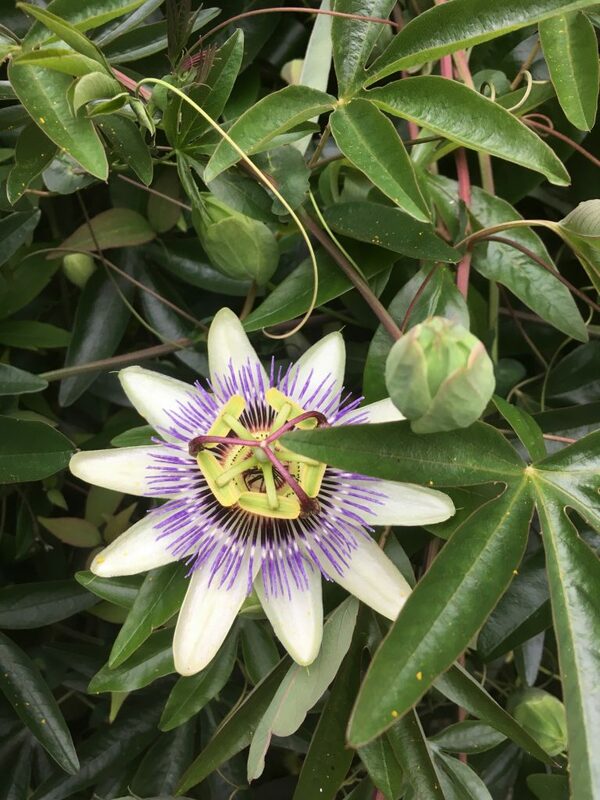 Each plant, tree and flower has its own individual energy and gifts which are available to us in any moment, if we just take the time to tune in. Besides being a source of food and nourishment, human beings have always had an inherent bond with the plant life around us whether through folklore, herb-craft, aromatherapy, flower essences etc. But simply sitting in nature, and being still, breathing in the scents, listening to the birds, the waves crash at the beach, the bees buzzing around etc. 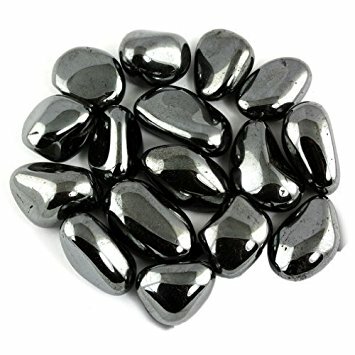 is a very powerful way to connect to the balance and harmony of Mother Earth, available to us at all times. In the feng shui of your home, the central core of your space represents health and unity. Why not bring in some things from nature this month? – create a little spot where you can display some flowers, pebbles, sea-shells, etc. to remind you to take some time for yourself this month to simply sit and enjoy the abundance of Mother Nature. Enjoy this month of expanded energy, as, after the solstice, the wheel begins to turn again and slowly, but surely, the days will become shorter again, on our perpetual journey from darkness to light and back again. On June 18th we will delve deeply into this subject, there are still a few places left to join us. In the meantime, en-joy this time of new growth and vitality! Feng shui is deeply rooted in honoring our ancestors. In the east, the study of feng shui was originally utilised to position “the houses of the dead”. In careful positioning and honoring the ancestors, there was an innate knowledge that the ancestors would look after us and generations to come. It was an honoring of the continuum of energy of which we are all a part. Our own Celtic forebears were also deeply connected to the energy of those who had gone before, remembering and calling in their wisdom at the turning points of the year with various celebrations and rituals. 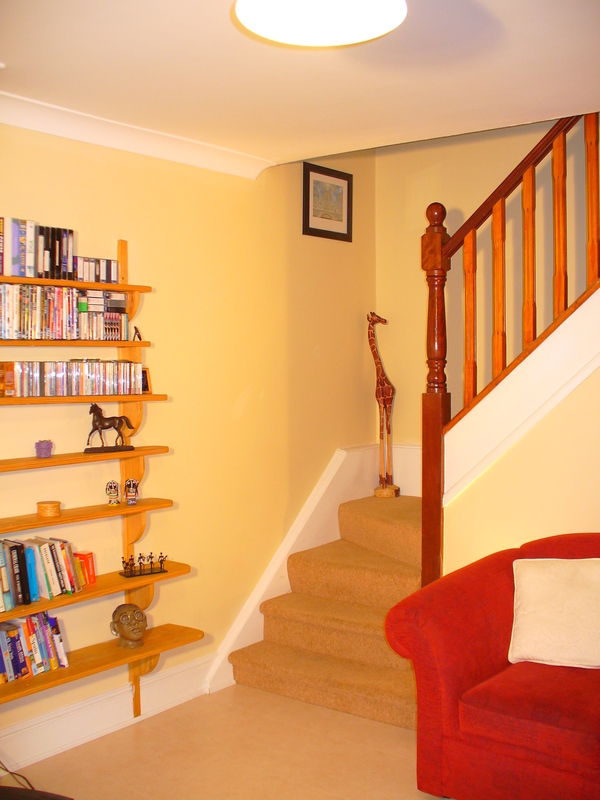 In our homes, the space associated with this energy of family, ancestors and the past, is the eastern sector (if utilising compass school feng shui) or the middle left hand sector when standing at the front door looking into the house (if utilising three door gate of chi feng shui). This is the area to honor our lineage, our mentors, our family and our community. This wood energy space, associated with spring growth benefits from the addition of tall leafy green plants e.g. bamboo, woodland imagery, tall rectangular shapes in design or a splash of the colour green. Having elements here that you have inherited or which remind you of your part in a lineage/community are also beneficial. Many people like to have a small “altar” in this area where they can light some incense or burn some sage while connecting in to the people who have gone before us, asking for their assistance in our journey. Before we begin to manifest new things, experiences, relationships etc. we must first do a clean sweep to make space. A spring clean – de-cluttering physically and on the atmosphere of our spaces. Next week in our workshop Essential Feng Shui- on May 7th, we will delve deeply into the importance of clutter clearing and space clearing – clearing the way forward in order to manifest whatever energy we wish to invite in for the coming year. Space clearing is a very powerful way to shed what is no longer helpful in the atmosphere of our spaces. It is very important to do this when moving into a new home/workplace, when feeling stuck in a rut, when there has been illness or bad fortune, after a burglary or bad patch of any kind. It is useful when we wish to simply sweep the decks and start fresh. Our ancestors lit a special fire at Bealtaine, after all the other fires in the community had been put out. People jumped the fire to purify, cleanse and to bring fertility. At the end of the evening the villagers would take some of this fire to start their own home fires anew. This month, create a ceremony around clearing out and starting fresh, really connect with you are in-tending – in tending our inner fire/passion we tend to what we really want, rather than what we “think we should want” more of in our lives. After a recent space clearing for a client she emailed me to say how delighted she was with the results -“I feel like my home is my own again”. This is the essence of feng shui, clearing out what is no longer you, setting the tone, the energy of your space to reflect you and to support your hopes, dreams and aspirations going forward. On May 7th we will delve deeply into this subject, encompassing the use of essential oils in space clearing and to enhance the feng shui (energy flow) of our homes (our outer skin). 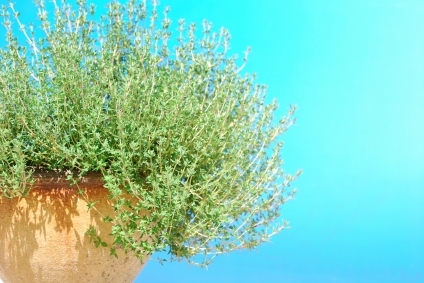 An excellent plant for this purpose is Thyme – our Celtic forefathers and mothers used thyme as a powerful tonic, energising and enlivening spiritual and physical vigour. Place some thyme at the entrance to your space so that its scent will fill the air as you brush past or diffuse the essential oil throughout your space for the same effect. There are still a few places left to join us on May 7th – click here for more details. Wondering what to read this Summer? Enrolment now taking place for 8 week class in feng shui and the healthy home – covering all aspects of feng shui, space clearing, colour, healthy homes, de-stressing and balancing your environment. Breathing space to learn how to tap into your own personal best energy and make subtle changes in your environment to enhance and uplift every area of your life. Feeling stuck in a rut? or just want to have more energy and joy in your life? This course will provide you with all of the tools you need to get your energy back on track in every area of your life! Begins Monday February 2nd 2015 – book your place early! River Holistic Centre Raheny. 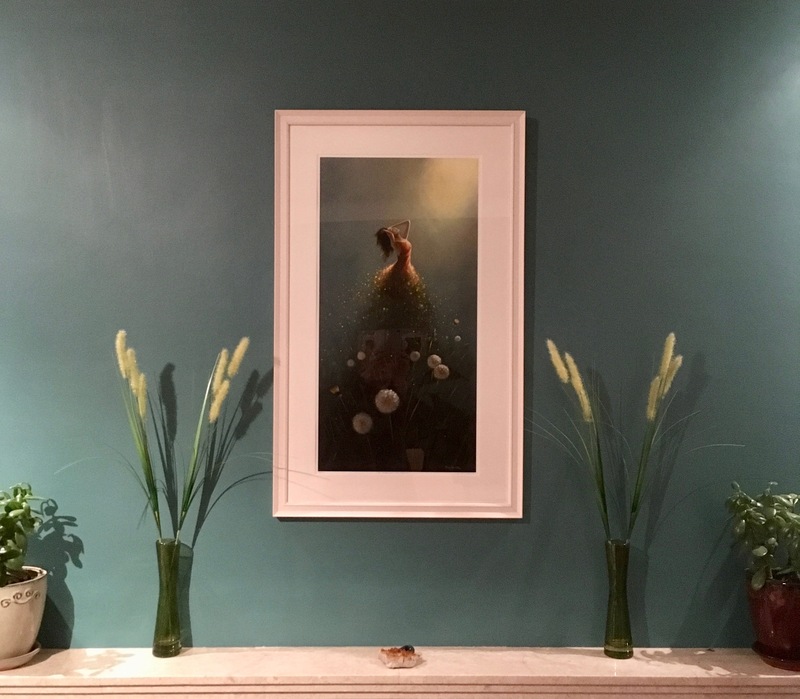 Breathing Space – An eight week programme covering healthy homes, 5 elements, feng shui, space clearing and the use of colour to distress, energise and optimise both the energy of your home and consequently your own personal energy. Gift yourself this time and space to view your home and life from a whole new perspective. 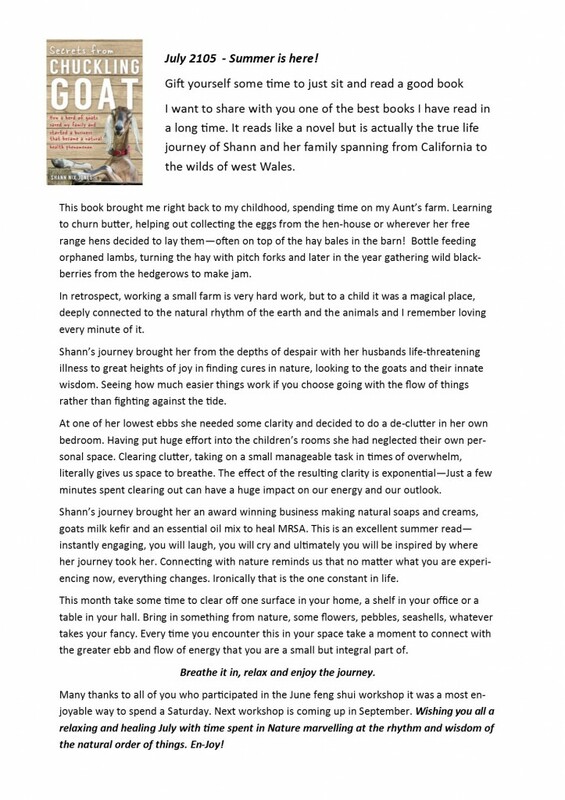 An eight week programme – experiencing your home as a Living Breathing Space. Covering Healthy Homes, 5 Elements, Feng Shui, Space Clearing and the use of Colour to de-stress, energise and optimise both the energy of your home and consequently your own personal energy. I would like to invite you to visit my news and events page to see a full listing of feng shui classes for autumn/winter 2011 into spring 2012 – looking forward to seeing you at a class this term! Feng shui is about constantly analyzing where we are in life, what we are evolving into and utilizing our environments to effect positive change in each area of our lives as appropriate at that time. The idea is to spot change as it approaches, and go with the flow rather than swimming against the tide when the current changes and wondering why things suddenly seem to have gotten more difficult! I read a terrific little book last week called “Who moved my cheese?” by Dr Spencer Johnson. It takes 1 hour to read and is an absolute gift to yourself if you are going through a time of change that you are finding difficult. In this little book you get to view four characters and how they adapt (or not) to change. The wisdom in these pages is profound. The idea is that the quicker you let go of the old (way of being, relationship, job, family situation etc. ), the sooner you will find the new. The idea is to enjoy the adventure of the search rather than resisting letting go of what is no longer appropriate. The subject for this month is CHANGE. It’s a peculiarity of the human condition that we experience such discomfort around change. Most of us don’t like it—even when we know it will bring much needed relief from our current situation, we have a “better the devil you know” mentality about it! Yet, the one certainty in life is that everything changes. Dawn will change into morning, into noon, into evening, into night and so, back to dawn again. Childhood into puberty and adulthood and so on….We have no control over it, it simply is a fact of life. Feng shui is based upon the teachings of the I Ching—the book of change—a 6,000 year old text which studies man and nature over time. “Essentially the I Ching identifies patterns of universal energy at work within the world. It reflects the belief that the world is in a state of ceaseless flux or change. Everything is constantly evolving, being born, growing, reaching maturity, decaying and dying. The world is always changing, in complex but orderly and rhythmic patterns.” The I Ching workbook by Roger Green. The aim with feng shui is to mirror the dynamic balance found in nature i.e. ever-changing and moving balance—the dance of life. This month I invite you to start with the little things make small changes while dreaming big!! I have been to California where I was fortunate enough to spend a day in a forest of Giant Redwoods. It was one of the most awe-inspiring days of my life. Standing among these huge trees, which have been around for centuries and even millennia, helps put things in perspective!! You couldn’t help but wonder what these wonderful trees thought of us tiny humans bustling about at their bases—they surely have seen it all and then some. I am reading Wayne Dyers book “change your thoughts– change your life– living the wisdom of the Tao”. Its relevance to the very essence of Feng Shui is not lost on me. In feng shui we make changes in our environment to effect positive change in our lives, it requires a leap of faith, what one of my teachers, Ron Chin, called “transcending logic” – trusting the process. Trust in the process and enjoy! 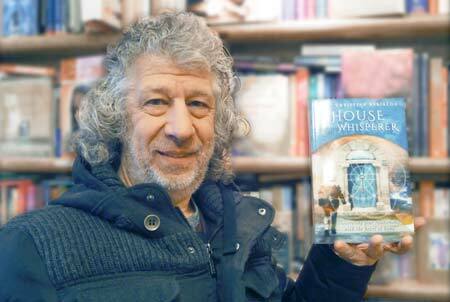 I am currently reading “Holistic Home” by Maxine Fox, published by Findhorn Press. It is a thoroughly excellent read. In it the author discusses the connection between us and our homes “the subtle yet profound impact that the home environment has on our physical and emotional being tends to be overlooked by many,….in truth it is in the realm of interaction (rather than aesthetics) that the alchemy of turning a house into a home really happens”. I held a space clearing and clutter clearing class last week, in which the participants were led on a guided meditation/journey during which they developed their awareness of the energy of their spaces. All were very much taken by this deep intuitive connection between each of us and our environment. How some spaces feel immediately comfortable and others make us feel like leaving again. This first step of acknowledging how we feel in a space, is fundamental to the application of feng shui and space clearing to our space. First analysing what is and then deciding what needs to change. A great morning was had by all, and everyone left with the tools necessary to make positive changes to their environments and as a result their lives when they went home. “A placid year, very much welcomed and needed after the ferocious year of the Tiger. We should go off to some quiet spot to lick our wounds and get some rest after all the battles of the previous year. Good taste and refinement will shine on everything and people will acknowledge that persuasion is better than force.” -“Money can be made without too much labour. Our life style will be languid and leisurely ans we allow ourselves the luxuries we have always craved. A temperate year with unhurried pace. For once, it may seem possible for us to be carefree and happy without too many annoyances” – Theodora Lau “Handbook of Chinese Horoscopes” – Doesn’t that sound like a welcome new energy to herald in!! At last the reworking of my website is just about complete – it has been a real revelation looking back over the pages of my original website and deciding what still works, what needs reworking and what can now be done without. In the process of this I was struck by how many analagies it held with applying Feng shui to our homes. Periodically, we need to reassess, de-clutter and rework our surroundings, to adjust to the new gait of our lives, I suppose, a website is like a virtual home in that way. Another similarity I have found is that it is a work in progress – it can never really be “finished” any more than a spring clean will finally, once and for all, clean your home – unfortunately or fortunately it is a constant progression. The beauty of this realisation is that nothing we do has to be perfect, which in its essence, is a static position, it simply has to be moving towards perfection. Time to let out a sigh of relief! In Feng Shui we talk a lot about surrounding ourselves with what we love, inspiring ourselves through our surroundings – as a very wise person once said – “your home should rise up to meet you and make your soul sing” . We also talk about how, with feng shui we are trying to mirror the beauty and harmony and natural rhythm found in nature. If we look outside in any moment, on any day of the year, we can see that the view is never the same, it is constantly evolving and changing. Our challenge then, is to do the same. Constantly reassess and adjust as we go along, so that the clear out or rearranging doesn’t become an huge task and is not overwhelming. The good news is that we are always in the right place, at the right time, doing what we need to do, at that time, to learn and grow and move forward. So look around and ask yourself, what is your subconsious teaching you via the environment you have surrounded yourself with today?